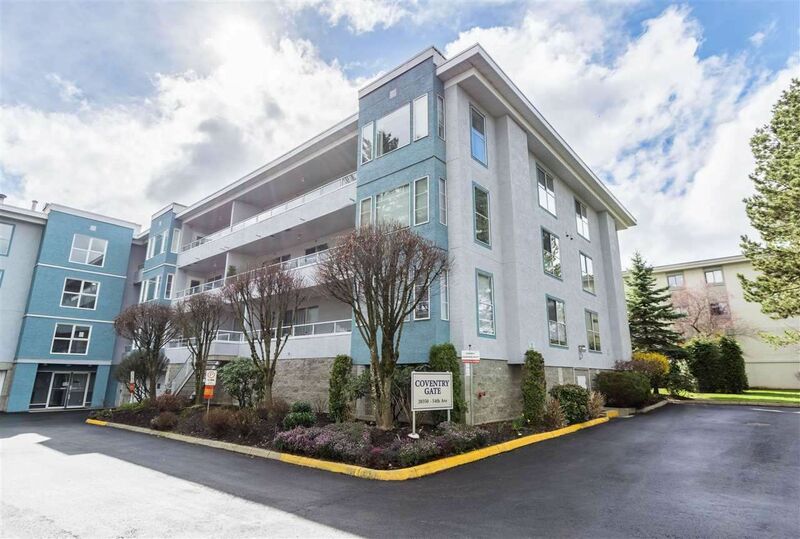 INVESTOR ALERT - This 2 bed 2 bath condo is priced for a quick sale. New carpet and newer kitchen tile installed with newer paint throughout. This unit ready to move in, you won't be disappointed. 2 4 piece bathrooms with newer Dishwasher & Stove. 2 covered balconies to enjoy the fresh air. Tennis court and swimming pool are also part of this great building. Quick access to Fraser Hwy or Glover Road. Beautiful gas fireplace will warm the entire home in winter. Underground parking. Unit located on the second floor with a view of green space. Call today!